The breast cancer 1 and 2, early onset (BRCA1 and BRCA2) genes are important for double-strand break repair by homologous recombination. 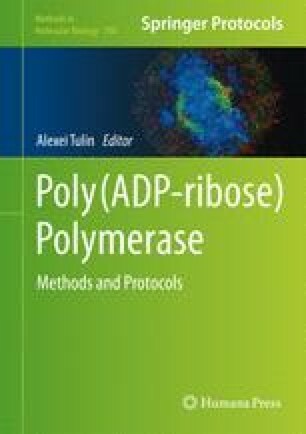 Cells with inactivating mutations of the BRCA1 or BRCA2 tumor suppressor genes show increased sensitivity to Poly-ADP ribose polymerase (PARP)-inhibitors in vitro. Sporadic breast tumors with BRCA1 promoter hypermethylation show a similar phenotype to familial BRCA1 patient tumors termed “BRCAness.” Sporadic ovarian tumors with functional inactivation of BRCA1 by hypermethylation will also have the BRCA-deficiency phenocopy. The loss of BRCA1 expression associated with promoter hypermethylation will disrupt BRCA-associated DNA repair and may sensitize tumors to BRCA-directed therapies. Thus, the determination of methylation status of BRCA1 may be an important predictive classifier of response to PARP-inhibitor therapy. The methylation, and thereby functional, status of other genes implicated in the wider BRCA/homologous recombination (HR) pathway may also be relevant to the prediction of response to PARP-inhibitor therapy. Here, we describe the four optimal technologies for assaying the promoter methylation status of BRCA1 and/or other genes. This work was supported by the Ovarian Cancer SPORE at Fox Chase Cancer Center (P50 CA083638).